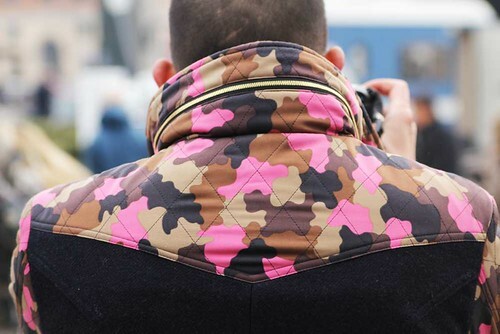 Camouflage by definition is a method of concealment but Nam's jacket from General Idea was one of many items of clothing on display at Pitti Uomo that deserved attention. Very cool and it's about time you pitched up! Ha, there's so much to say about Pitti but I've been here on official Dazed business. Plenty to come when I'm back in London. yeah but this color is maybe to visible for a good camouflage right ? I like the look. 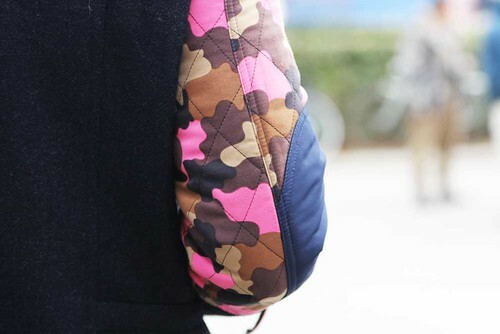 I think the camo is a great way to provide a different element to the cloth itself. Digging it, thanks for sharing!